From office to bar, a pair of men's tailored trousers can see you through any style challenge. At Jules B we are constantly adding to our selection of men's formal trousers, offering pure luxury in the form of Corneliani trousers that have been expertly crafted in Italy, Hugo Boss trousers that are the perfect option for your business profile, or look to trousers by Circolo 1901 with innovative prints and modern fits. A pair of men's smart trousers will form the basis to any strong silhouette - simply team with a slimming formal shirt and couple with polished dress shoes for a truly classic and handsome look. 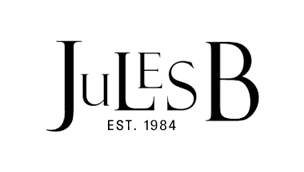 Shop the full men's trousers range at Jules B today, featuring a whole host of casual and formal styles to choose from.